Complete Territory Control missions to expand your territory. Tap on exclamation marks on the map (!) to reveal the Territory Control mission linked to that region. Challenge the Free Quests to complete Territory Control missions, and expand your territory. Once you have cleared a mission, the exclamation mark will change to yellow and display CLEAR under it. Tap on the right button ミッションリストへ to head directly to the Mission List and gain your reward. Gain control of a territory to be able to challenge new territories adjacent to the conquered land, as well as unlock new Main Quests. Sakamoto Ryouma to join your party permanently. Type trait in filter box below to filter table by that trait. Search is case-sensitive, so type 'Beast' instead of 'beast. Sakamoto Ryouma will receive twice the exp points while strengthening during the event. 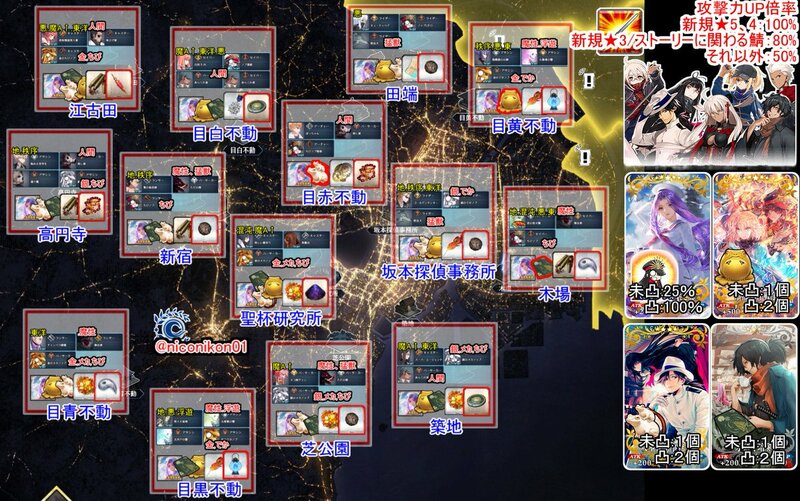 Event Craft Essences are also in this pool. Note: Okita Souji (Alter), Hijikata Toshizou and Okada Izou will not be added to Story Summon after this summoning campaign is over. 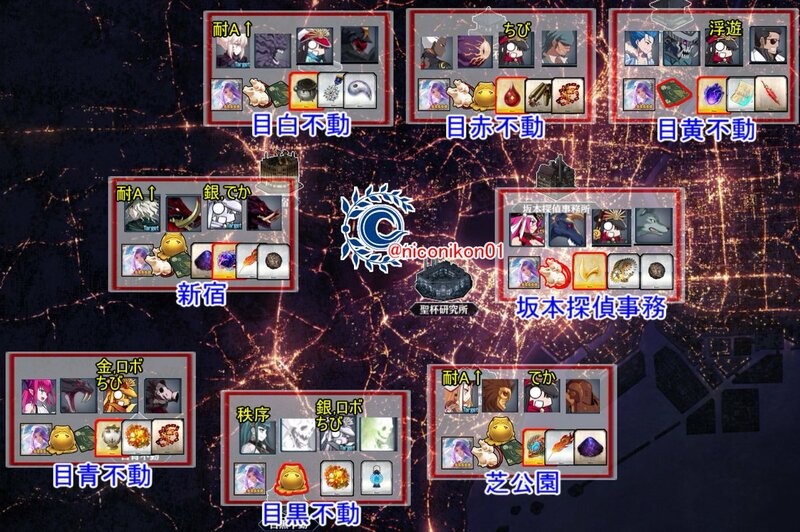 Also note that Okada Izou cannot be obtained from Friend Point Summon. 3★ 牙研ぐ暗剣 can be obtained from Friend Point Summon, but if your settings are set to sell all 3★ summons, it will be sold even if you draw it. This page was last modified on 13 April 2019, at 10:22.